No watches or warnings in effect for Winnipeg, MB. EC forecast: Sunny this morning then a mix of sun and cloud with 30 percent chance of showers this afternoon. Wind becoming northwest 40 km/h gusting to 60 this morning. High 14. UV index 5 or moderate. EC forecast: Partly cloudy. 30 percent chance of showers this evening. 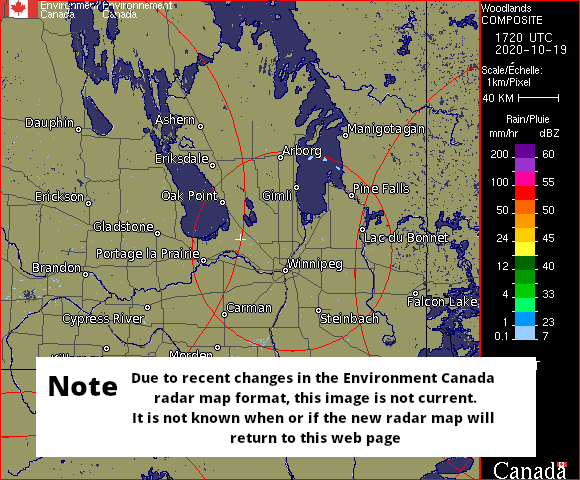 Wind northwest 40 km/h gusting to 60 becoming light late this evening. Low plus 1.